Science Made Fun of Denver continues to nurture budding young minds with innovative early childhood programs designed to challenge and amaze preschool aged children. 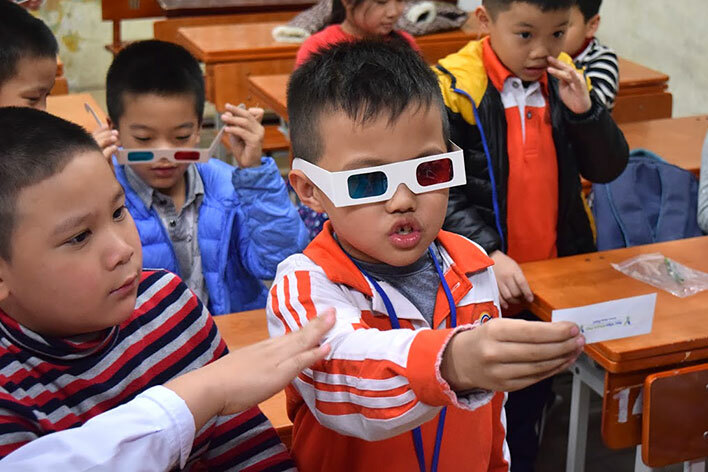 These programs encourage students to expand their thinking and problem solving skills with many opportunities for both individual and collaborative projects. 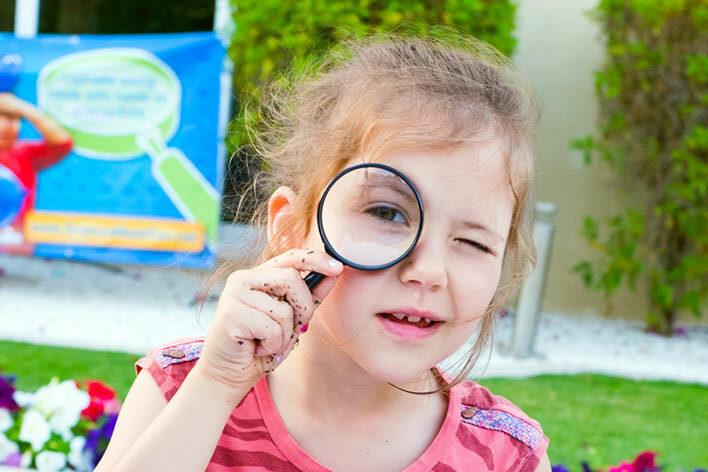 Science Made Fun preschool programs encourage your early learners to investigate and ask questions while performing hands-on experiments and delving further into the world of science! Our programs are designed to engage preschoolers in REAL science that relates to the world around them each and every day. Our theme based programs are designed to help develop your preschooler’s social, emotional, physical and intellectual skills. Find out all about animals as we use bean bag babies to discover what makes each animal so special. Learn about animal protection, homes, body coverings and more. Is water really sticky? Discover all the mysteries about water as we get wet and wild with water. Learn all about what a real scientist does by using scientific tools! Make predictions about what will happen when chemicals are mixed and then observe what happens to confirm your hypothesis. Discover what we are made of and how our bones and bodies work. Journey through the footsteps of animals. Have fun as we discover the unique tracks of many different animals and search for the signs they have left behind! Learn about the amazing discoveries of Benjamin Franklin! Imagine his electrifying experiments as you create colorful circuits, concoct your own ink and write with a feather just like Ben! Discover all the cool properties of magnetism and learn all the attractive facts! Learn about our incredible planet. Discover how to take care of our planet, explore recycling and make a pollen catcher to keep! Get caught in the vast web of information about spiders. Learn the difference between a spider and an insect. Spin your own web and even build a spider to keep! Make waves, explore sand, investigate beach creatures and make your own shell imprints! Get charged as we have FUN with static electricity. 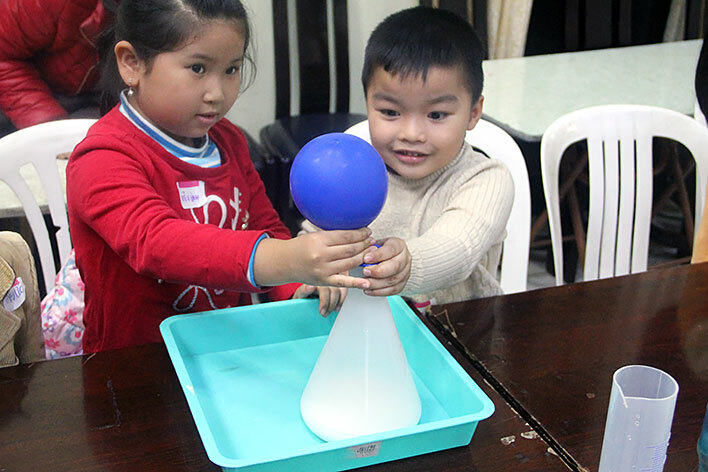 Science Made Fun will engage your students in exploratory, hands-on science experiments in 30 minute sessions for up to 20 children at a time. Our Scientists can provide as many sessions per day as necessary to accommodate the participating population at your school. Each 30 minute field trip has a fee of $5 per student per week with a minimum fee of $200 per day. Teacher and chaperone participation is encouraged and free of charge. A $20 travel fee for each Scientist per day of field trips also applies. Program fees are usually paid by parents, PTA/PTO organizations or grant dollars.